We’ve got Olympics FEVER, friends! Oh yes we do. And so do the good folks at MDC Stirrups, who have so kindly agreed to give away, absolutely free, a brand new pair of MDC stirrup irons to one lucky Mary’s Tack and Feed reader. Winning! MDC irons! For free! Entering to win is so, so easy. Just hop over to their facebook page to find out which Olympic riders ride in the fabulous MDC stirrup. Then leave us a comment here on the blog with the names of at least 4 of those riders. That’s it! You’re entered! Like MDC Stirrups on facebook and leave a comment here that you did so. Tweet a link to this post and comment here that you did so. Share a link to this post on facebook and comment here that you did so. Like Mary’s Tack and Feed on facebook and leave a comment here that you did so. Follow Mary’s Tack and Feed on twitter and leave a comment here that you did so. Be sure to leave a separate comment for each of your entries so they can be counted individually. So what are you waiting for? Let’s do it! Entrants must be 18 years of age or older with a delivery address in the continental U.S. to be eligible to win. No purchase necessary. Contest will end at 12:01 a.m. on Tuesday, August 14th. Philip Dutton, Adrienne Lyle, Margie Engle, Will Coleman and Stefen Peters! Phillip Dutton, Beeze Madden, Will Coleman, Tina Konyot, Jan Ebeling and Adrienne Lyle ride in MDC stirrups. I also “Liked” the MDC Stirrups facebook page. I love free stuff! I shared the link to this giveaway on my facebook page. Four riders include Tina Konyot, Adreinne Lyle, Heather Blitz, Jan Ebeling. I liked MDC Stirrups Facebook page! MDC-sponsored Olympic riders: Tina Konyot, Jan Ebeling, Phillip Dutton, and Will Coleman. Let’s not forget my favorite WA state rider Adrienne Lyle! I have liked (loved) MDC stirrups on Facebook. Yeah! I have liked ( LOVED! ) Marys Tack and Feed on Facebook. I shared the giveaway link on my Facebook page. Phillip Dutton, Jan Ebeling, Tina Konyot and Adrienne Lyle! Go USA and MDC! I Liked Mary’s facebook page. I love shopping at Mary’s! Beezie Madden, Debbie McDonald, Phillip Dutton, Tina Konyot, Adrienne Lyle, Heather Blitz and Jan Ebeling are all MDC sponsered Olympic riders. 🙂 Thank you for doing this giveaway! I “liked” MDC Stirrups on Facebook. I have heard great things about them. I have shared the giveaway link on my Facebook page. Thank you so much! I went to MDC FB pg. Love their stirrups and so much want a pr. Mine cause discomfort. The Olympic riders that I believe use MDC are Debbie McDonald, Adrienne Lyle, Jan Ebeling, and Heather Blitz (among others.) Thx for the chance to win. Beezie Madden, Phillip Dutton, Tina Konyat, Jan Ebeling, Adrienne Lyle, and Will Coleman use MDC. I have “liked” Mary’s facebook page, thank you for the chance. Will Coleman, Phillip Dutton, Debbie Macdonald, Heather Blitz and Jan Ebeling. I love these stirrups and have been dying for a pair ever since I first got to try them, when I modeled a pair for an add in California’s Riding Magazine. Thank you for a chance to win a pair! I have liked MDC stirrups on Facebook and Breezie Madden, Tina Konyot, Will Coleman and Phillip Dutton all ride in MDC. I liked Mary’s a long time ago on Facebook, hope that counts. I tweeted the link to this post a little while ago. I followed Mary’s on twitter, didn’t know you had that either, so fun to read what you’ve written. Thank you to MDC for giving away a fabulous pair of stirrups and thanks to Mary’s to making this opportunity possible!! Phillip Dutton, Jan Ebeling, Tina Konyot and Adrienne Lyle use MDC. Thanks for a chance to enter. Tina Konyot, Adreinne Lyle, Heather Blitz, Jan Ebeling all use MDC stirrups! I also liked the MDC stirrups Facebook page!!! Phillip Dutton, Tina Konyat, Jan Ebeling, Adrienne Lyle. I have shared the link on FB as Susan Wachowich/Susan Wachowich Dressage Rider and as Wellington equestrians. Oops just saw that your want separate comments for each entry. I have shared the link on FB as Wellington Equestrians. I liked MDC Stirrups on FB! I liked Mary’s Tack on FB! Phillip Dutton, Beeze Madden, Will Coleman, Tina Konyot, Jan Ebeling and Adrienne Lyle ride in MDC stirrups and I would love to too! Adrienne Lyle, Will Coleman, Phillip Dutton, and Jan Ebeling ride with MDC stirrups! Four Olympic riders using MDC stirrups are: Jan Ebeling, Adrienne Lyle, Will Coleman and Phillip Dutton! Jan Ebeling, Adrienne Lyle, Heather Blitz, and Will Coleman are some of the MDC sponsored riders at the Olympics! Also “Liked” Mary’s on facebook and “Liked” MDC on facebook. I liked MDC Stirrups on Facebook!! I “liked” Mary’s Tack and Feed on Facebook. I liked Marys Tack and Feed on facebook! I followed Mary’s Tack and Feed on Twitter. And of course, my answer: Adrienne Lyle, Will Coleman, Phillip Dutton, Heather Blitz, Debbie McDonald, Tina Konyot, Jan Ebeling, to name a few. Four of the Olympic riders using MDC stirrups are: Adrienne Lyle, Will Coleman, Tina Knoyot, and Phillip Dutton. A few riders who use MDC Stirrups include: Phillip Dutton, Beeze Madden, Will Coleman, Tina Konyot, Jan Ebeling and Adrienne Lyle. Shared with my friends and Partners Therapeutic Horsemanship. MDC Riders include Guy Thomas, Adrienne Lyle, Bruno Delgrange, and Will Coleman. Fingers crossed! I tweeted this post under user name drafts4vever! I already am a long time follower of Mary’s Tack on FB cos you are so awesome! Now follwoing you on twitter too! I have like MDC on facebook. The Olympic sponsored riders for MDC are , Guy Thomas, Phillip Dutton, Jan Ebeling, Adrienne Lyle and Will Coleman. 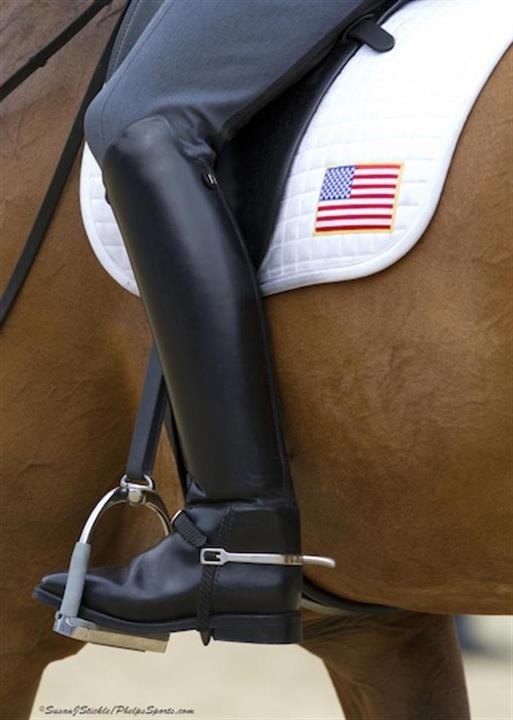 Some Olympic riders who use MDC stirrups are: Adrienne Lyle, Phillip Dutton, Debbie McDonald, Tina Konyot, and Beezie Madden. I liked MDC Stirrups on Facebook! I liked Mary’s Tack and Feed on Facebook! Four riders’ names: Adrienne Lyle, Will Coleman, Guy Thomas and Bruno Delgrange. Hope I win! I Have Liked MDC on Facebook! Been a Fan / Friend of Mary’s Tack & Feed for some time… and now MDC! MDC riders include: Tina Konyot, Adreinne Lyle, Jan Ebeling, and Will Coleman. I like Marys Tack and Feed on Facebook! I shared a link to this on Facebook! Would love to win these for my daughter, I think they would be a great help to her and her leg position, she’s retraining a 7 year old OTTB…I Like MDC and Mary’s Tack and Feed on Facebook too…AWESOME!!! The Olympic Riders who use these are Philip Dutton, Will Coleman, Beeze Madden, and Tina Konyat…All excellent riders!!! Tina Konyot, Adrienne Lyle, Heather Blitz and Jan Ebeling. 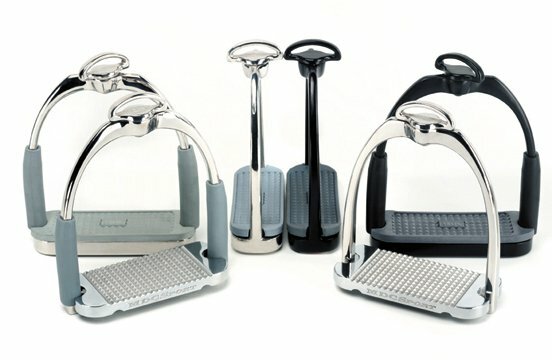 I would love to have these new stirrups!!! Thanks! MDC riders include: Adrienne Lyle, Will Coleman, Phillip Dutton, Tina Konyot, Heather Blitz, Jan Ebeling, and Debbie McDonald to name a few. Adrienne Lyle, Tina Konyot, Jan Ebeling, and Phillip Dutton. Liked Mary’s Tack & Feed on FB a while back. Famous people, including several Olympic riders have used these irons including (but not limited to) these four: Beezie Madden, Debbie MacDonald, Peter Gray, Phillip Dutton. I liked the MDC Page. This is an awesome product. Something’s not working because I posted earlier but it doesn’t show so I tried again and now it says its been posted before. Just thought I’d let you all know something’s not quite working.